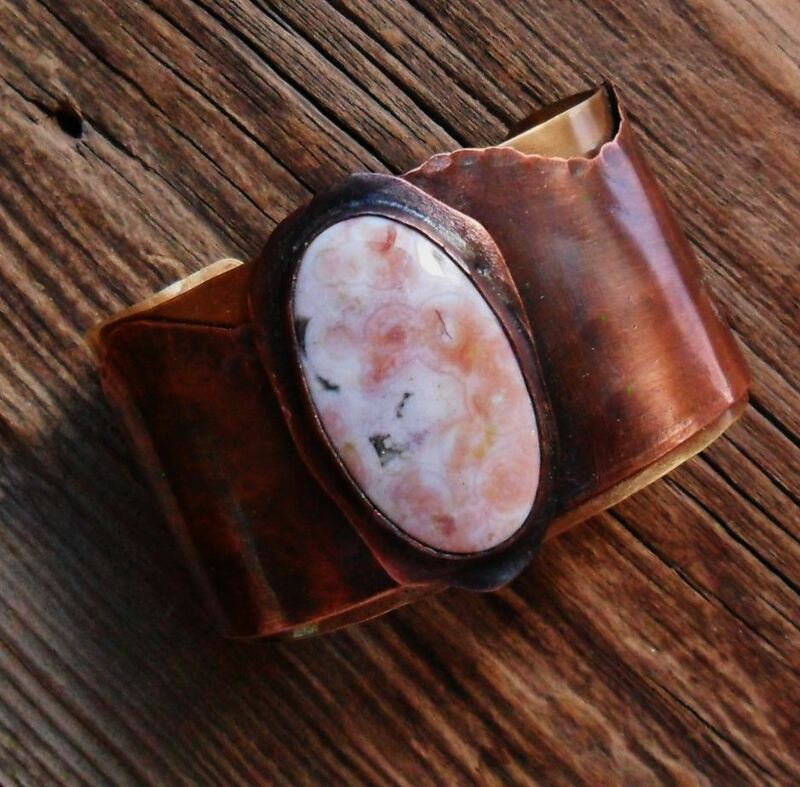 A large oval ocean jasper stone with pink hued orbs and some grey matrix mixed in with the pink on a mixed metals cuff. The copper has a slight wave cut design to go with the feel of the ocean jasper stone and it is set on a brass band of metal. 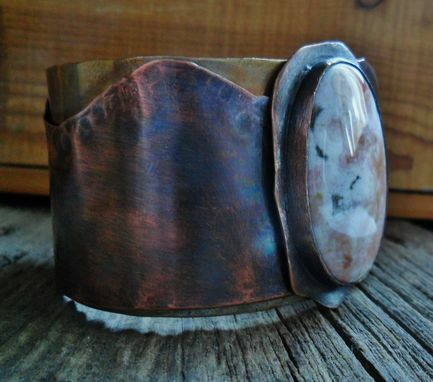 The cuff is darkened with a patina to pair better with the colors in the stone. 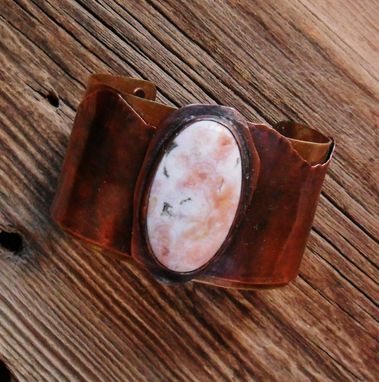 It is 6 inches long and 1 1/2 inch wide. Of course I can change the stone to one of your preference. I would absolutely work with Madi again. She produced lovely work and was an absolute professional.